While on holiday or vacation, how do you choose what sights to see? Reading through bundles of accordion-folded brochures, my fingers brush over glossy pictures of scenic images. Where should I go? What do you recommend? So much to see…so little time. The drive is only a short distance from the villa my husband and I share with good friends. Stopping to speak to the Gatekeeper, a nice middle-aged man wearing a copper cap atop his balding head, we’re directed toward the “Cougar” lot. “There it is,” I exclaim! An outline in bright green tells me so with a paw of claws to the left. Crunching sounds are heard beneath the weight of our mini-van from stones of crushed quartz together with variegated granite. No sight of a genuine “Cougar.” It’s safe to jump out! Skipping to climb stairs and steps in sets of three or four, suddenly it’s time to rest. Whew…hard to breathe for me. The air is different here. Crisp and clean, but thinner. One-two-three, short breaths for me. A voice booms loud over an unseen speaker, startling me. “Departure!” It’s time to catch a free ride on the aerial tramway. Soon we’ll be pulled all the way up to the tip of majestic mountain before me. I see it standing stately in the background sky of royal blue. Along the way my eyes of wide glance side to side and all around looking out a glass balloon floating on wires of two. My mouth drops open, agape in awe. Yes, I do realize what I’m looking at, yet my mind is having trouble catching up. I’m spinning together with the mountain top around me. Up-up-up we go all the way to the top of God’s wilderness where we stop at 8,500 feet. Posted on October 17, 2014 by kcg1974 •	This entry was posted in Nature and tagged Faith, God, Heaven, Nature, Spirituality, Travel. Bookmark the permalink. Beautiful, beautiful images~ ty for sharing! Thank you for being here. I have not forgotten your most generous nomination and upon my return hope to finally address it properly. Bless you. What a beautiful scene…heaven on Earth, yes indeed. WOW!! these views are just stunning.. Thank you so much for sharing them .. You took me to the top of the world too :-).. I so enjoyed these..
Cindy, my thanks to you today. Unimaginable, the sights I saw! Blessings. Lovely! I have no clue were I replied before but I couldn’t see your whole post…I’ve been trying to guess where you were…Montana? Wyoming? Colorado? South Dakota? It all looks so familiar to me…a breath of fresh air anyway…thank you for sharing your adventure…beautiful! Oh, so glad you came back to see me! All of these beautiful gifts of nature were found in “Mt. 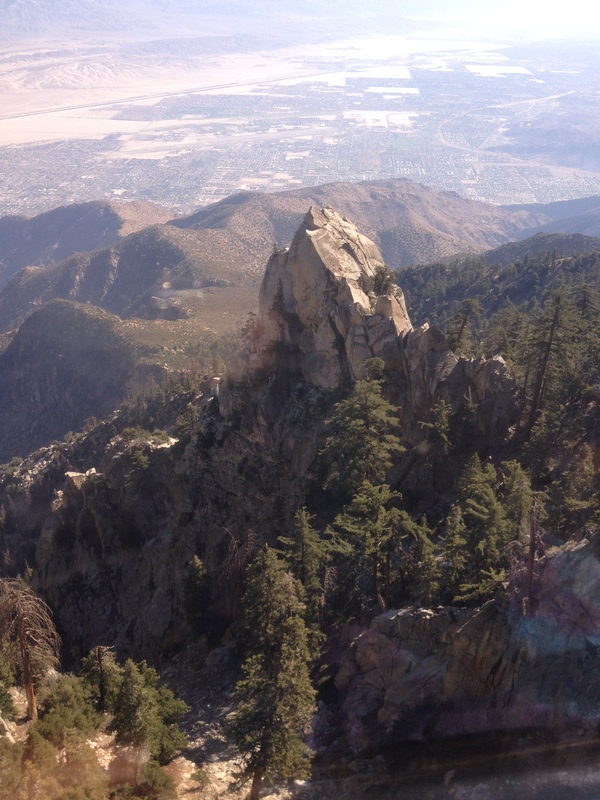 San Jancinto State Park and Wilderness Area, a short drive from the desert of Palm Springs, California. So happy you could join me! Thank you for your time in reading and commenting. Such a beautiful sights to share! Blessings. Wonderful pictures Kim. I’m glad you had a good time and am grateful you stopped in to tweet while you were away so we didn’t miss you as much. Welcome back. Thank you, Lorrie. Just landed in the ‘cold’ of Chicago for my connection. Back to reality! Fantastic pictures Kim. truely spectacular, the praying hands are aptly named. but looking at it would be daunting, I didnt see a pic of it but can imagine its glass like construction. What an incredible place! Another one for my list! Oh, yes, go if you get the chance, Olga. A surprise for me, but so breathtaking that I can’t wait to go back one day. I want to spend more time on trails to hear the wind beneath the trees, the quiet in the sky and look at clouds dancing. My wise old grandmother always said, “Life is a journey, not an event. Enjoy the journey.” That journey can be heaven on earth or hell on earth…………. Oh, so wise indeed, your grandmother was! Please, no “Hell” on earth for me. If I’ve already had some of it, no more ever, ever, ever. Heaven from here on out! Blessings to you. I love this special tribute to God, the majestic praying hands. Natural wonders are always gifts from God, Kim. The ‘gatekeeper’ and your post were very well written and enjoyable, along with the gorgeous photographs. Oh, Robin, although I can ‘show’ you some of the beauty, there is no way to express the ‘feeling’ of being within such magnificence. Thank you so much! Spectacular images, Kim! Wonderful narrative!